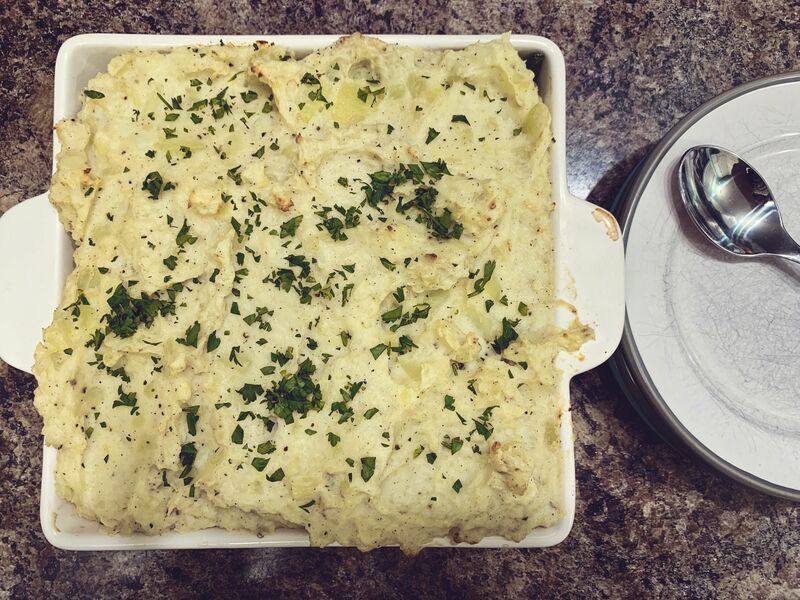 Shepherds pie was a favourite of mine growing up. And I have tried quite a few of recipes for it since being married. 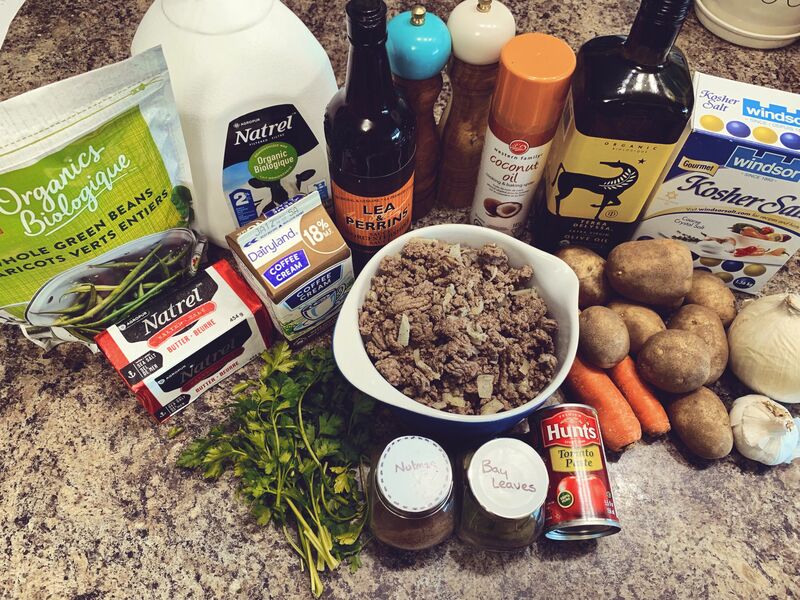 I've managed to create a recipe that mixes the basics of it and adds elements I have picked up and learned along the way. 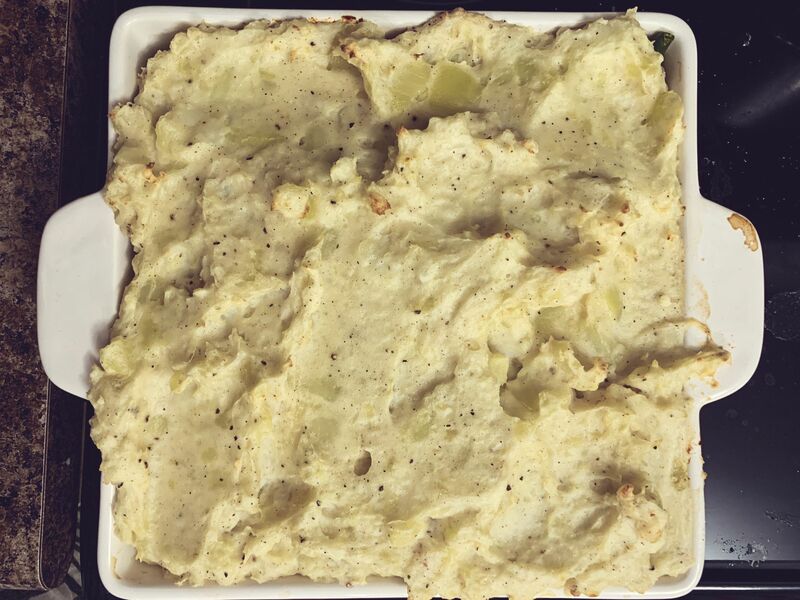 My most recent discovery in shepherd pie recipes is in Joanna Gaines' cookbook, Magnolia Table, her recipe adds nutmeg to the mashed potato topping and oh my, it adds such a beautiful flavour! The whole fam loves this dish!! 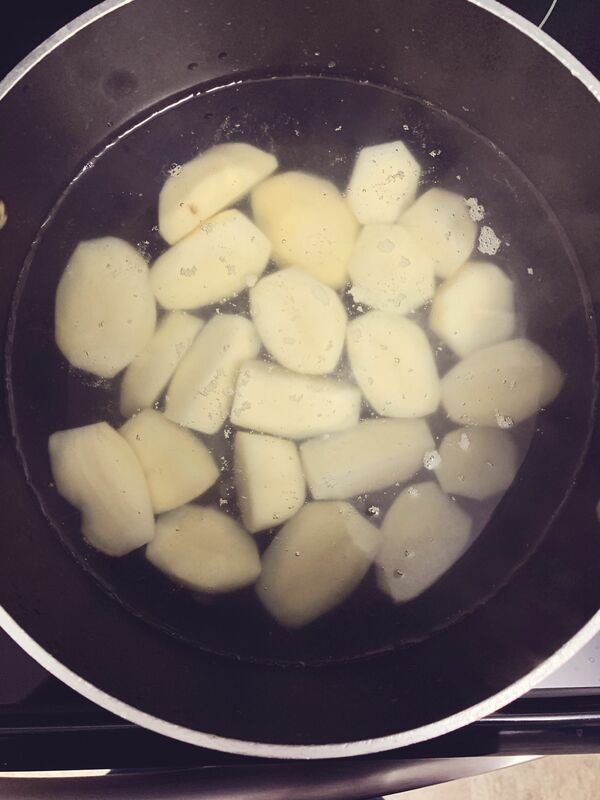 Step 1: Begin by boiling up your potatoes in some lightly salted water. Step 2: While your potatoes cook, put a large frying pan on over medium high heat. Toss in your olive oil. Once warmed up, add your garlic and onions and let them cook, stirring occasionally, until the onions are nice and shiny. 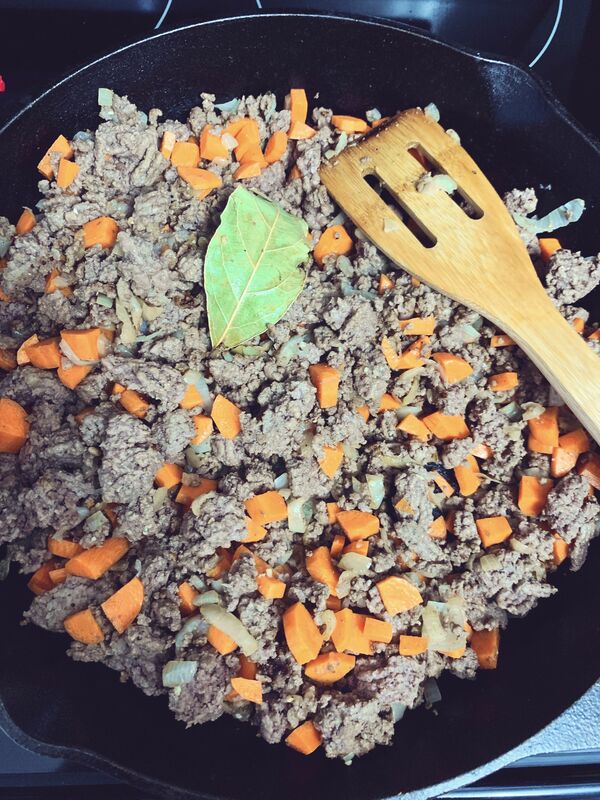 Step 3: Next, add your ground beef, salt and pepper to the pan. Brown this with the onion and garlic. Step 4: Now, add your carrots, bay leaf and Worcestershire sauce . 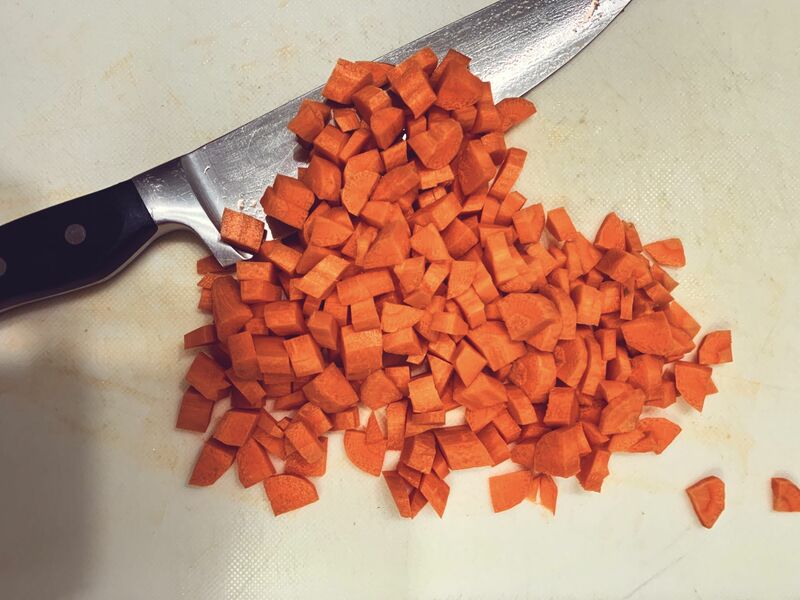 Allow this mixture to cook for about 5 minutes, until your carrots begin to soften. Step 5: Once your mixture is all cooked through, move it over to one side if your pan. 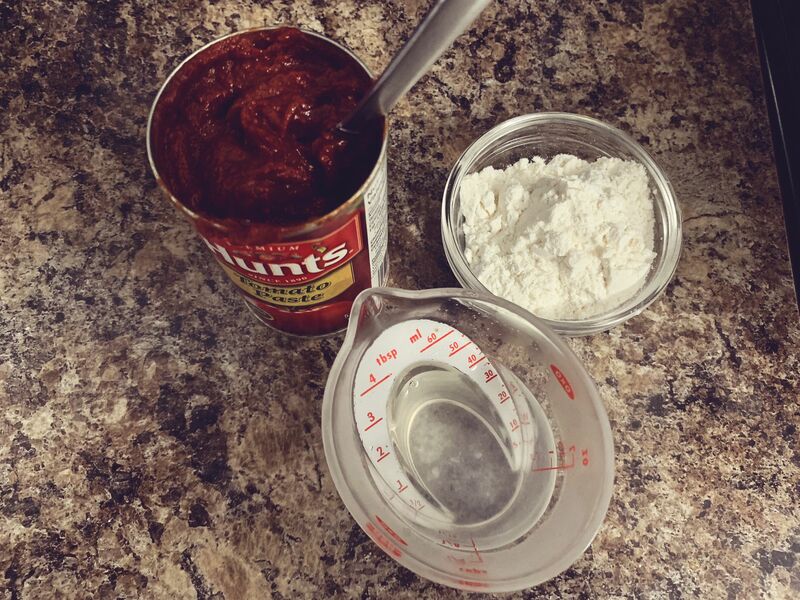 Add your flour and water, stirring them together constantly, and then the tomato paste. 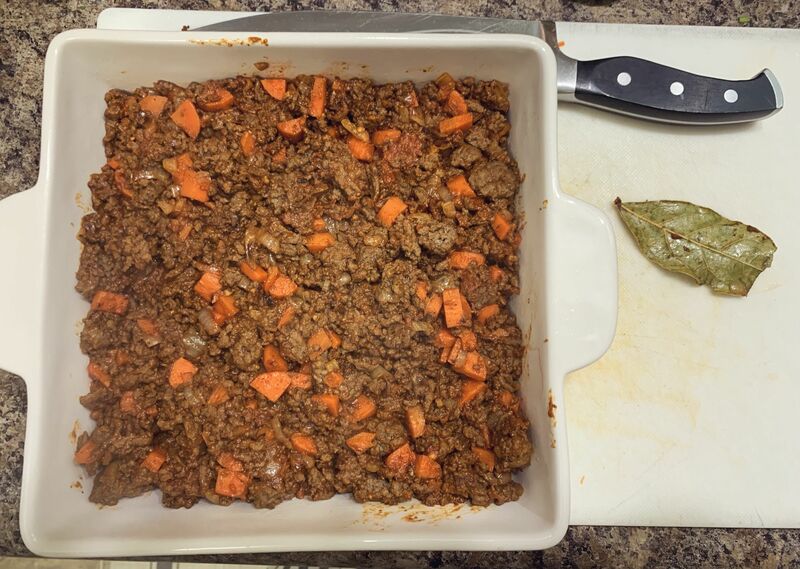 Once combined, stir in the beef and veggie mixture with it. Step 6: When the meat mixture is nice and heated through, scoop it into an oil sprayed, deep casserole dish. Remove the bay leaf. Now it's time to preheat your oven temp to 375*F.
Step 7: Time for the mashed taters! Once your potatoes have boiled and cooked for about 20 minutes. begin to check them. If you can pierce them with a fork and they begin to fall apart they are ready! 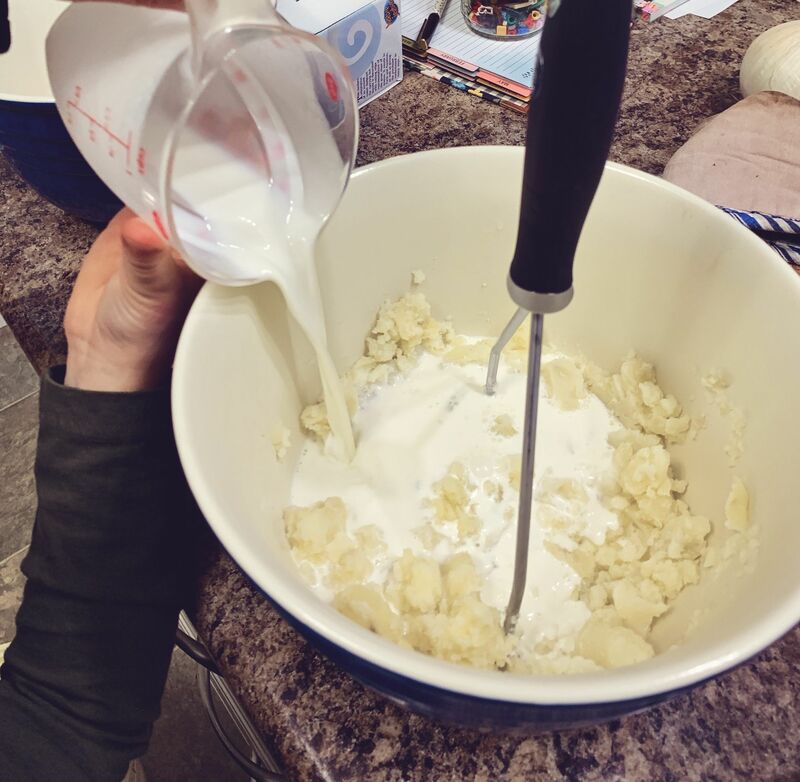 Strain them and dump into a large mixing bowl. Begin to mash them up a bit and then toss in your butter. 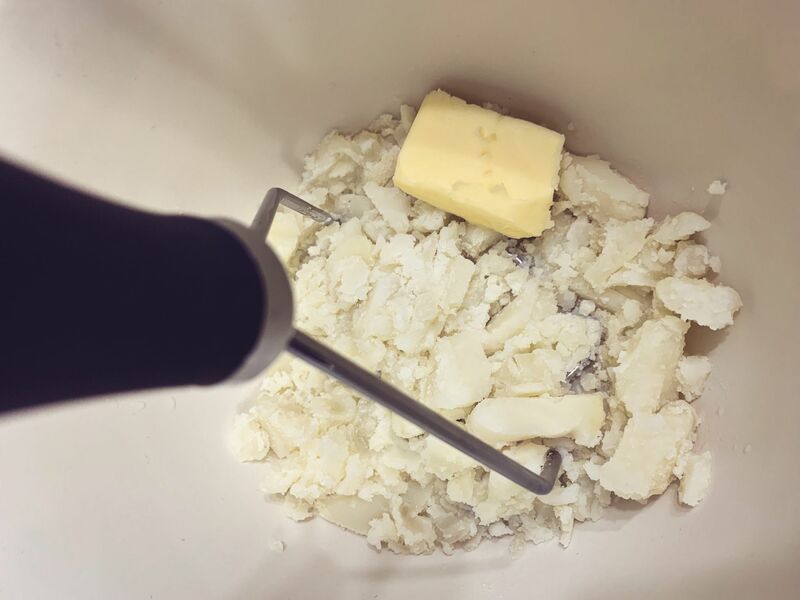 After you butter is melted and nicely incorporated add your cream, milk and nutmeg. Continue to mash until all is well mixed. Step 8: Now to finish assembling the Shepherds Pie. 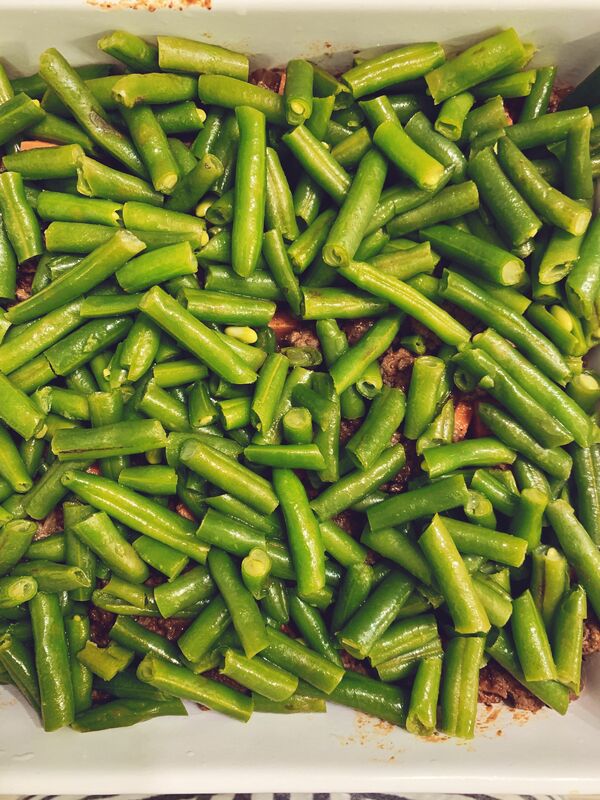 Place the sliced green beens in a layer over your beef mixture. 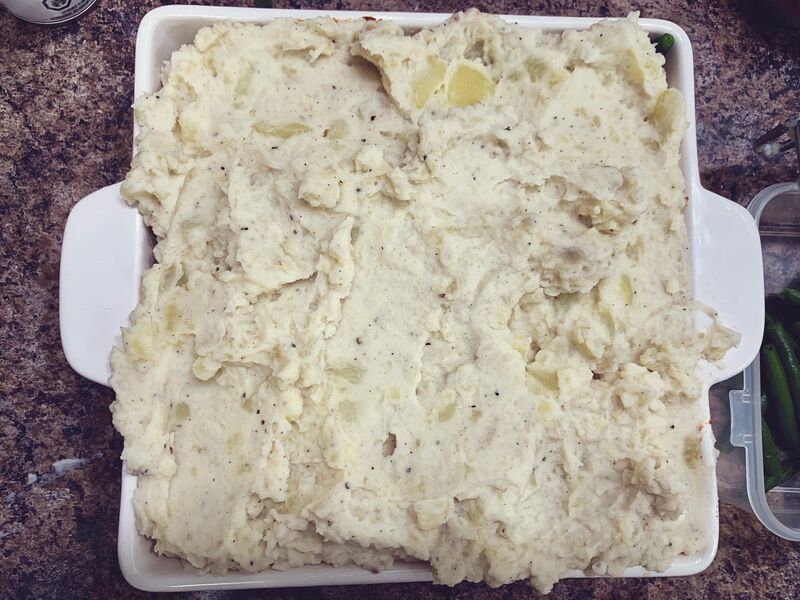 Step 9: Top with those glorious mashed potatoes. And pop it into the oven! Step 10: Final step!! You made it! Take out of the oven once your pie is heated through and the mashed potato topping has nicely browned, about 30 minutes. Top with some fresh chopped parsley. Bon Appetite! This really is a "big hug" dish. 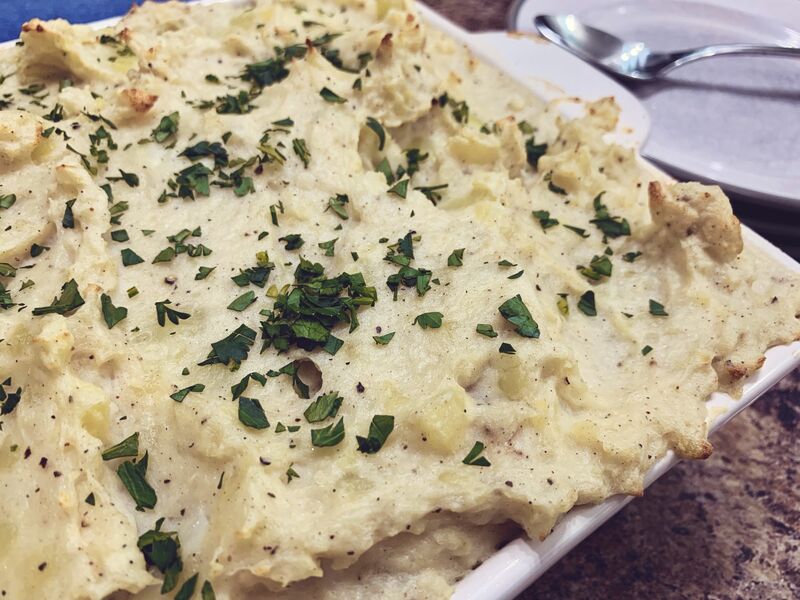 Perfect comfort food to compliment these colder days. Note: I like to serve this with a fresh green salad. But honestly it can be a meal all by itself as it has a great amount of veggies. Best part is, the leftovers! Gets even better the next day!